02/25/2007: Again a remake. 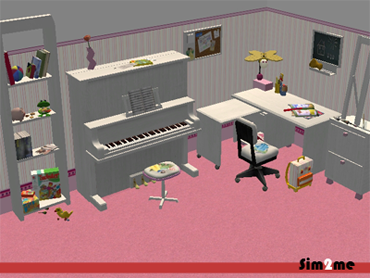 When recoloring this set, I noticed that the kidbedframe always springs back to the mesh color when reloading the game. I had to remake the mesh and the two recolors. They´re now base game compatible. Download the files here. If you have Pets, you can download this bed mesh. You could also download just the files you want at my site. 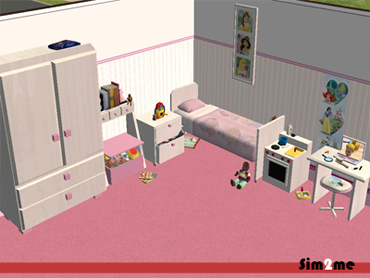 today I updated with a more girlish version of my ffp kidsroom: disney princesses look for your little simmies! As I didn´t get any feedback for the base game part of this set, this recolor will only be available for the EP-version. 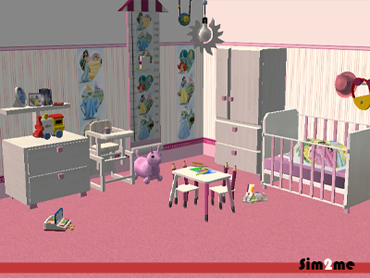 Please don´t forget to reload the baby and toddler bedding meshes in this thread. The meshes are NOT included. Please download them here if you do not have them installed yet. Hope you´ll have fun with the new look.